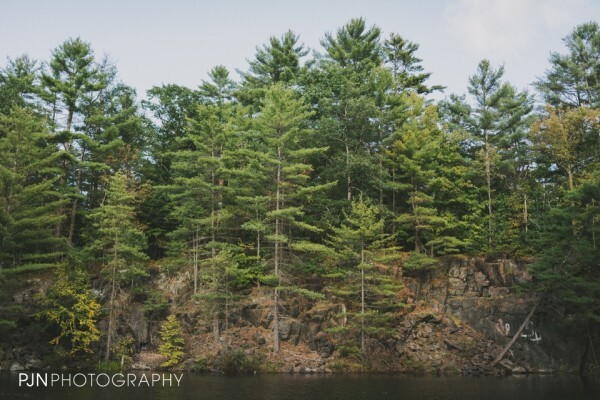 Christina & Jason | Here we go! 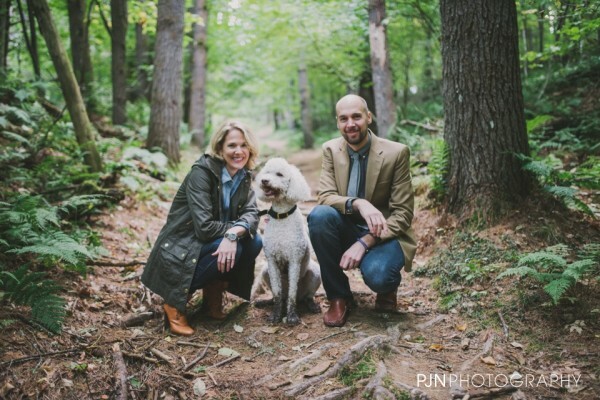 This is us: Jason, Christina and Eloise (she’s the poodle). You’ll most often find us at the showroom working on kitchen stuff, but when we’re not, we try our best to get outside and into the woods. We’re fortunate to live in an area where mountain trails and lake walks are just a few minutes away. 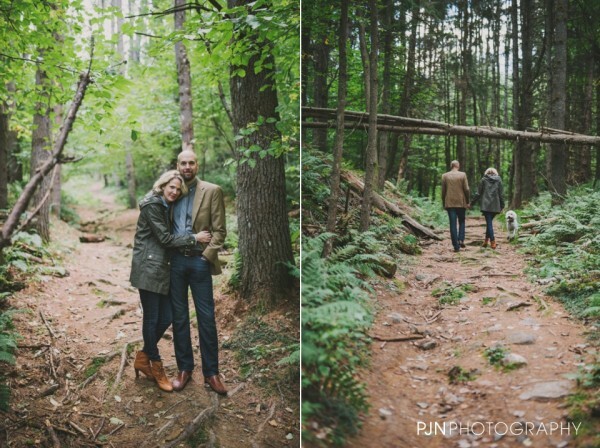 The photos below were taken at the trailhead of Tongue Mountain, in Bolton Landing, NY—one of our favorite paths. Okay, so we’re not usually out there in healed boots and ties, but we wanted to share a few of our engagement photos here on our blog. As we look forward to celebrating our upcoming marriage, we hope to get out there, take the dog for a walk, and just enjoy. The best advice we’ve been given, “take a moment to enjoy the moment.” If you ask us, that’s good advice everyday. Engagement photos by PJN Photography.